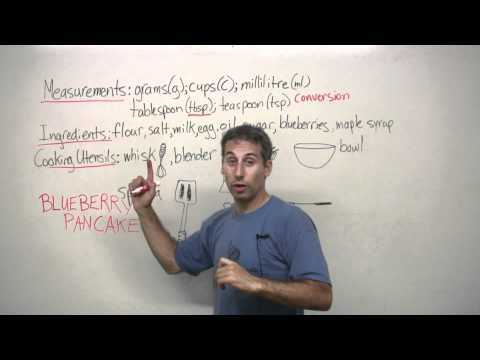 Learn English with Cooking: Making Blueberry Pancakes! Words and expressions about cooking can open up a world before you. Learning about the measurements, tools, and methods of cooking will expand your English vocabulary. And you'll learn how to make yummy blueberry pancakes, too!